Fixes a quirk of the Volca FM hardware synthesizer where it does not respond to the velocity of MIDI notes. 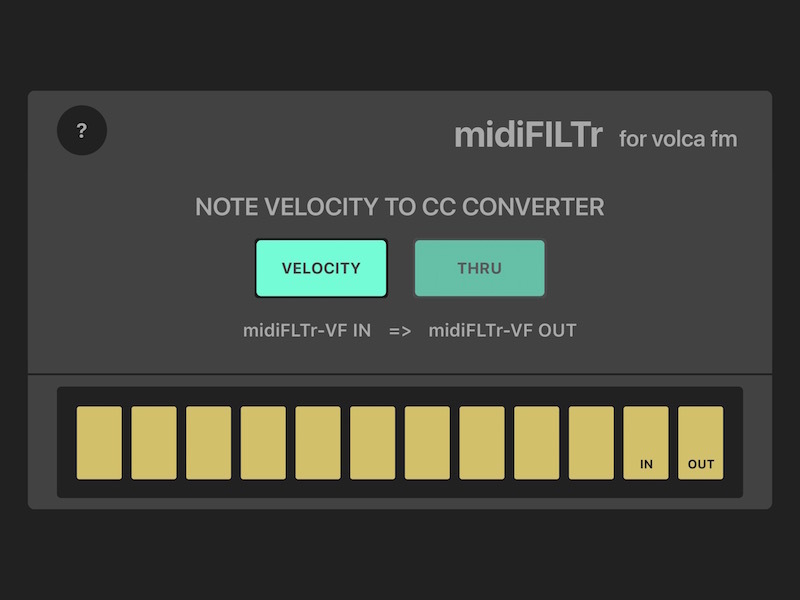 midiFILTr-VF is an Audiobus 3 MIDI filter effect that is easy to use and quick to configure, just insert it into the MIDI flow. 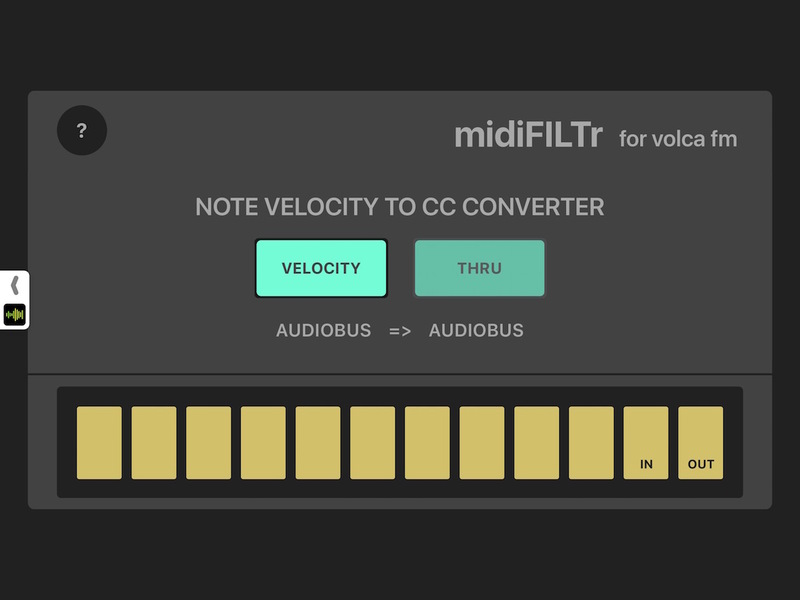 Allows other iPad music apps or external keyboards to send MIDI notes with velocity to your Volca via Audiobus 3 or CoreMIDI.